It's that time again, North America, and after releasing a long awaited cult classic last week, the Nintendo Download Update is fairly reserved this week. There are some goodies to enjoy, nevertheless, so let's get to the details. 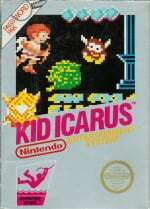 Kid Icarus (Nintendo, $4.99) — Not the most prolific of franchises, to put it mildly, but this NES original certainly has its fans, and has also been reborn as a 3D Classic. With good variety in the admittedly limited number of levels, and severe challenge to boot, this is well regarded by plenty of retro gamers. We're playing this again for a fresh review to go live very soon, but until then you can check out our original Wii Virtual Console Kid Icarus review. 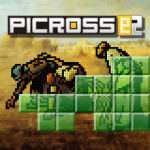 Picross e2 (Jupiter Corporation, $5.99) — A good while after its arrival in Europe, the latest entry in this popular puzzle series finally lands in North America, with the third also on the way in September. With over 150 puzzles and more clean, simple presentation, this is certainly worth picking up for fans of the genre; check out our Picross e2 review for the full lowdown. Chain Blaster (G-STYLE, $6.99) — The scrolling shmup genre is enjoying a mini-Renaissance of late, with Chain Blaster joining in on the 3DS eShop. In this case the focus is on precise shots to take out multiple chained enemies at once, with wildly firing as many shots as possible somewhat more restricted to tougher moments. With the trailer suggesting a pumping techno soundtrack to keep you going, this looks like a bit of a blast from the past — hopefully in a good way. We'll gear up and bring you a review soon. Cute Witch! runner (EnjoyUp Games, 200 Nintendo Points) — Based on the trailer and information provided so far, this appears to be the flying element from 3DS eShop release Dress to Play: Cute Witches! brought down to DSiWare, with the lack of dress-up replaced by challenges and a budget price. We'll hop on a broomstick to bring you a review. So that's your lineup this week, North America. Let us know what you'll be downloading in the poll and comments below. Chain Blaster definitely has my attention....and more picross is really awesome! Kid Icarus for me, since I'll get the discount for already having it on my Wii menu. Just finished the first picross-e. Just in time! Kid Icarus is really easy if you level up well on the first two levels. Nothing for me. I'm really disappointed that the Wii U VC started so strong, but very quickly dropped to only one title per week. At this rate, it's gonna take forever to get through the Wii VC library. And I have a sinking feeling that a good chunk of the titles won't be re-released anyway. where is dungeons and dragons????? I'd get Kid Icarus, but the 3D Classic makes all other versions look bad. Sonic adventure 2, please. Shinmue please. Shining Force 3 please. Sky of Arcadia please. I'll be trying Chain Blaster's demo. Yuck, horrible week for me! Not one Virtual Console game for the 3DS. I know that it's "not like pushing a button" just to release a Virtual Console game. But, seriously, it's not rocket science to port a Wii Virtual Console game to the 3DS. It's already ported. Soooo...when do we get river city?? Very disappointing week, honestly. After being spoiled with Earthbound last week, the only thing that'll be even remotely as exciting is Pikmin 3. That fishing game looks pretty cool. The VC is going to die if Nintendo treat it like this when there are actually new games to buy on Wii U. When I can't afford the Pikmin/W101 deal I will rue all the NES games I have bought due to game starvation. Chain blaster looks good but I might get it when it goes on sale. Nothing for me since I'm waiting for Ducktales remastered in August, I'm not downloading any other game until I download that one. Where is D4 with our Wii Neo Geo game? Chain Blaster looks like a good one, but I'll get the demo just in case. Considering we had Shantae and Earthbound last week, it may be hard to top that. not going to get anything this week. Nothing for me, i was hoping for something on the 3DS VC this week. Need new 3DS virtual console releases..
Oh yeah. I'm getting Kid Icarus. Very nice! All I have to say is that it is the year of Luigi and there is no Mario Party, Super Mario Kart, NES Open Golf, Super Mario RPG: Legend of the Seven Stars, Super Mario World 2: Yoshi's Island, Paper Mario, or Super Smash Bros. available on the VC. Sort of a sad celebration if you ask me. Probably going to get Chain Blaster, after trying the demo of course. Still playing Earthbound from last week, but I'll upgrade my Wii VC copy of Kid Icarus when I'm through with that for sure! Man i really wanna see more than just NES and SNES games on WiiU. I know Ninty confirmed GBA and N64 support, but where are they?! And what about GCN, Genesis, TurboGrafx-16, and (please) Saturn and Dreamcast? And why just one release per week?! At this rate, it'll take 10 years for every worthwhile retro game to appear on the VC. They could at least do 2 or 3 like they used to on Wii when it launched. I doubt we'll see Super Mario Bros. 3 any time soon. Japan got Super Mario Bros. 2 in November of last year and we finally got it 8 months later.. The 4 Super Mario Bros. games were all released within a year over there.. Such BS. They couldn't even be bothered to release Wario Land 3 or Kirby Dreamland 2 for the 3DS VC? Why not? I really wish the Picross e games had puzzles larger than 15x15. A whole lot of nothing, just like the last several weeks. I think I'll check my playstation plus network account. C'mon Nindi. Oh sweet a demo for Chain Blaster! Definitely getting that! You're all crazy. Terrible week? We got a shmup!!! Woot! After last week with Earthbound and Shantae I figured this week would be bad. I can understand to some degree, some of the complaining, since it really shouldn't be too hard to bring all Wii VC titles over to WU. The only unless there, is if Nintendo programs their WU emulators from the ground-up, instead of copying, & tweaking/upgrading/reprogramming their older .wad files from Wii's VC emulators' framework. True, programming from the ground-up is always a better choice for making a program better, faster, & more accurate. But, really now, one must ask, "is there really any difference between the Wii VC emulator framework code, & that of the WU VC?". Maybe there is. Even still, w/ all the games from those emulated systems, there, in theory, should be enough for 2-3 games every 2cd, or 3rd weeks off, w/ 1 game the other weeks. That would make for around/approx. 6 games per month at a low, & 8 at a high. As for this week, I checked off "Nothing...", as I am going to save at least $4-10 of my e-Shop for (Shantae) Pirate's Curse, this fall. In the meantime, I might eventually get around to getting the 3d Classic version of Kid Icarus. Edit: Will look into Picross 2, or whatever it's called. Still saving money though, for Pirate's Curse. Loved Kid Icarus... but its so hard. I don't understand why/how you change my post concerning the weekly e-Shop complainers out there yet allow vulgar language fairly regularly and continual complaints week to week. What was at for? I'll get around to Picross e2 eventually, and I'll try out the Chain Blaster demo. @Zach777: We don't allow vulgar language as per our Rules, so perhaps you're seeing those comments before we've had the chance to step in and edit them. As for complaints, people are going to complain no matter what happens. If you can't handle that, ignore the comment threads, please. @Zach777: someone reported it, and i found it to be over-the-top rude, therefore i edited it to still embody the spirit of what you meant without any of the rude attacking language. If you'd like to continue discussing this or if you have questions as to what specifically was rude about what you originally said, I invite you to get in touch with me personally so that we can discuss without further derailing this thread. Thanks in advance! I wish they'd release SNES games on the 3DS Eshop already. I mean it's not like the system can't handle those games. They would make a lot of money and we would have cool games so it would be a win-win. I'll keep an eye out for the Chain blaster review for now. Nintendo is not doing their homework, kid Icarus has a better version on the 3ds, where are the new releases? What happened to the buy a certain VC game get another certain VC game for 50% off deals? I'm not buying another game from the eshop until Dungeons and Dragons is released for the Wii U. I'm putting my foot down! I have a long wish list of 25 Wii U VC games to buy... Nintendo needs to hurry up!! Doot doo doooo Doot doo doooo Doot doo doooooooo!! I'd get Kid Icarus, but I already have the 3D Classics version on my 3DS. It sure would be nice if Nintendo connected the Wii U and the 3DS so we users would only have to purchase a Virtual Console game once and have it on both systems, wouldn't it? So long as the game is available on both consoles, that is how it should be. Just saving my money right now for the onslaught of epicness coming soon. Pikmin 3, Rayman, Pokemon... gah I'm already exhausted can't wait! I will buy Chain Blaster when it comes to Europe just to support the genre (Its cheap anyway). What I really want though is a 2D shooter that is better than the best ones done by Compile. (The amount of extra power we have these days should be able to offset how great they were at programming). M.U.S.H.A / Spriggan (Ideally with Sega Saturn quality visuals with lots of layers for good parallax). I want more decent run n guns. (Metal Slug X/3/6 or the GBA Gunstar Heroes). Or a new one that is better than those. If something is new and not better than something existing it is a waste of time and shouldn't even be released. Finally! Kid Icarus! i was really hoping for the same deal europe got, but ill live. Kid Icarus is hands down my favorite ness game. i wish more people would play it all the way through. it's rather easy when you know what to do. ill pick up this weekend along with EarthBound which ive yet to purchase of the eshop. thats it for me this week. im saving money for Ducktales: Remasterd and Pikmin 3 next month. At this point in the Wii's lifecycle, there were probably over a hundred games on the VC. This is absolutely pathetic. @Ryno I know. I was really enjoying those. Hope they come back. @ThomasBW84 will NintendoLife be reviewing Angler's Club: Ultimate Bass Fishing 3D? It looks decent but I'd rather get your opinion first, especially since it's a two-year-old Europe-only retail release. I'd intended to give Cute Witch! runner a try with the money left over from getting Friday Monsters (and Crimson Shroud) just last week, but it wasn't out on its supposed first-week-of-July release date, so I just forgot about it and went with something else (Sword of Hope II). Maybe if the reviews are okay? As long as it isn't broken, I'd probably get it. Argh, and there's another Picross game?! I did not even know about this! I should clearly have saved my money!